Lady Filmmakers Festival to create more opportunities for women! Submissions are open for the 2019 Lady Filmmakers Festival! Lady Filmmakers Festival in Beverly Hills, CA. The founding team wishes to expand it's reach and opportunities for women and the men who collaborate with them in the entertainment industry. Congratulations to Moriah Burton for being chosen for the Visual Effects Mentorship! 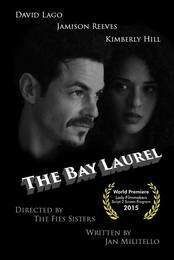 We premiered the first Script 2 Screen film "The Bay Laurel" at the 7th Annual Lady Filmmakers Festival. Thank you to everyone who donated to this project!